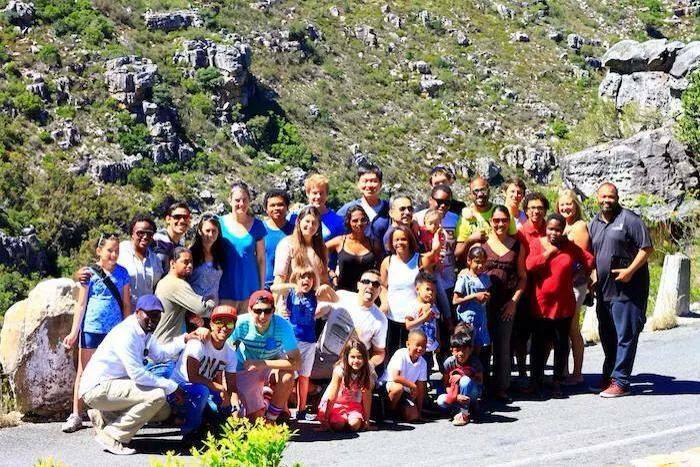 Last Sunday our entire class (and those with families) loaded up 3 cars and a combi-taxi and we went to Cape Town for the day. 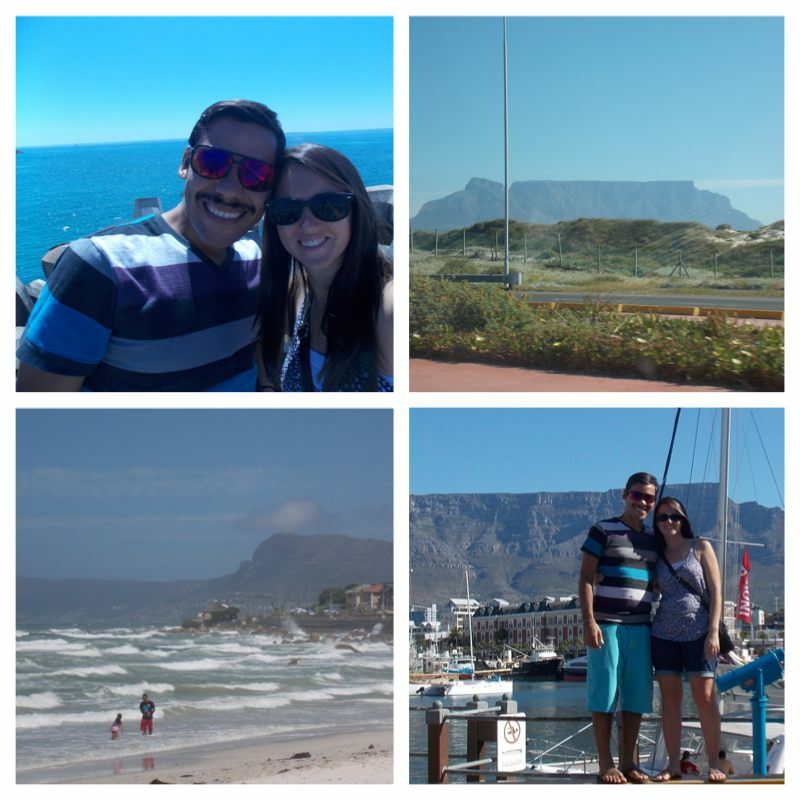 Once we reached Cape Town we got to see the famous Table Mountain, and the Atlantic Ocean from this side of the world! But the best part of our trip was seeing friends we haven’t seen in years. Isaac has friends, literally, all over the world. To give you an example, when we were in Mexico City getting our visas, we randomly saw a friend of his while we were in line to get ice-cream! 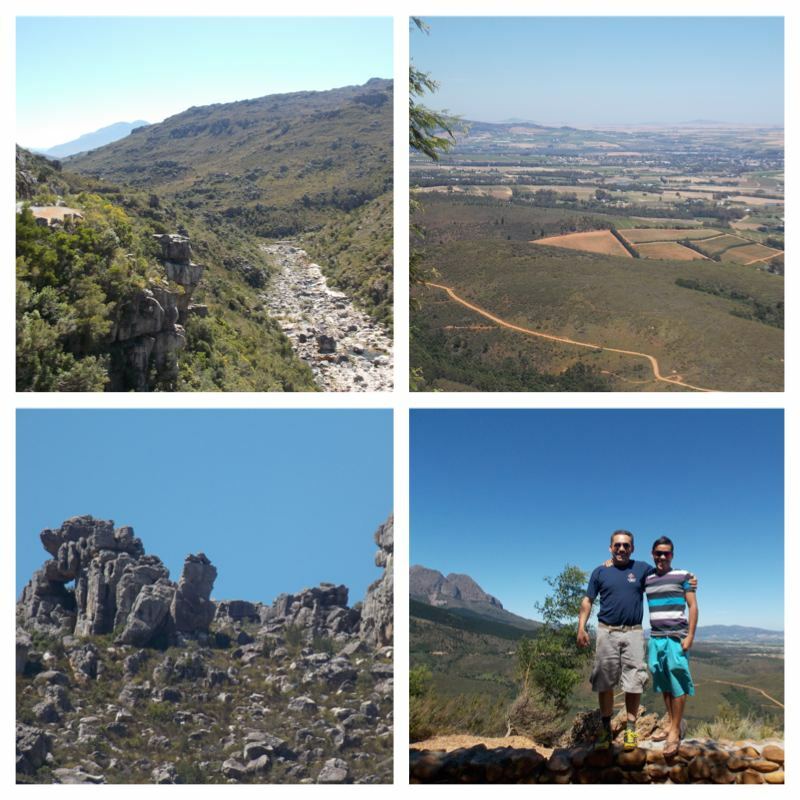 And Mexico City is HUGE!… Anyway, one of his friends from the Leadership Training School he did with YWAM Tijuana-Mexico is from Cape Town and serves with YWAM at the Muizenburg base. He came to see us while we were eating dinner at the beach, and it was so nice for him to see a familiar face from several years ago! Isaac wasn’t the only one who met up with friends, though! My friend Ruth, whom I met in 2011 and trained me to run Cherish groups was doing a training in Cape Town and met up with us for the day. We actually left our big group for part of the afternoon to have coffee and catch up with Ruth. It was wonderful seeing her, and sharing life for a bit. She is part of the community of missionaries serving in Johannesburg, so we will be seeing a lot more of her once we move to Joburg in December. When we got back to Worcester on Saturday night, we were tired but incredibly happy. After a week of new revelation & understanding from the book of Romans we got to see ocean and spend time with good friends…what more could we ask for? ← Just how big is Africa?